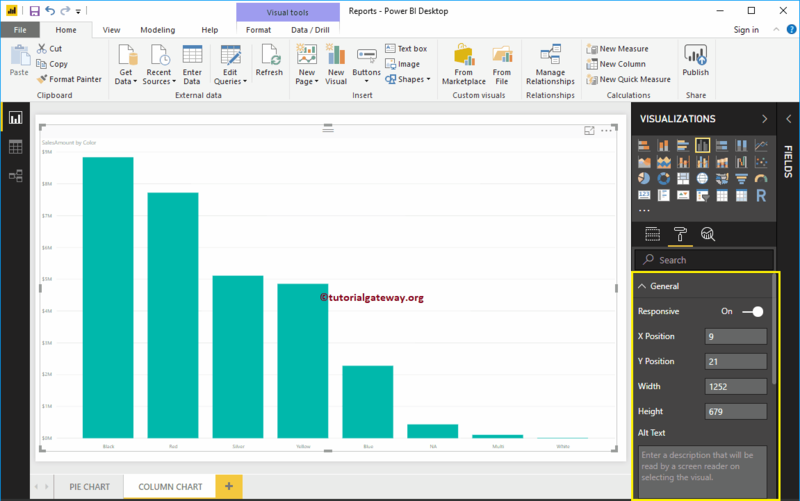 In this article, we will show you, How to Format Power BI Column Chart with example. This includes changing the Bar Color, Title position, background Colors, and adding Data labels etc. 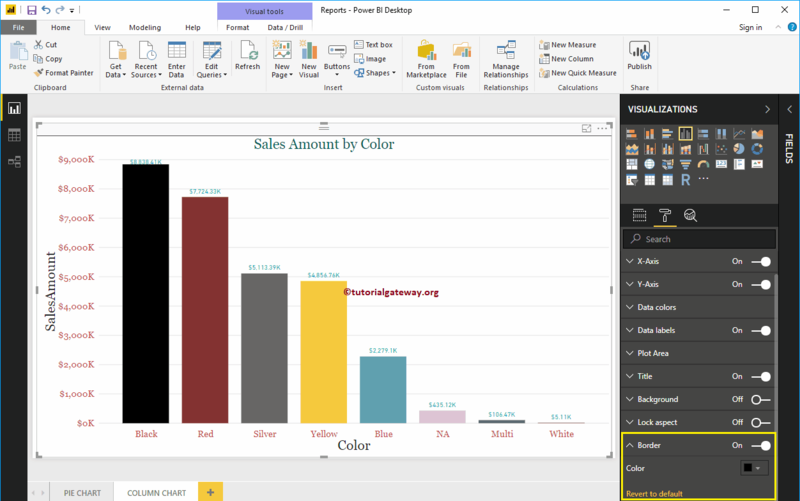 To demonstrate these formatting options, we are going to use the Column Chart that we created earlier. 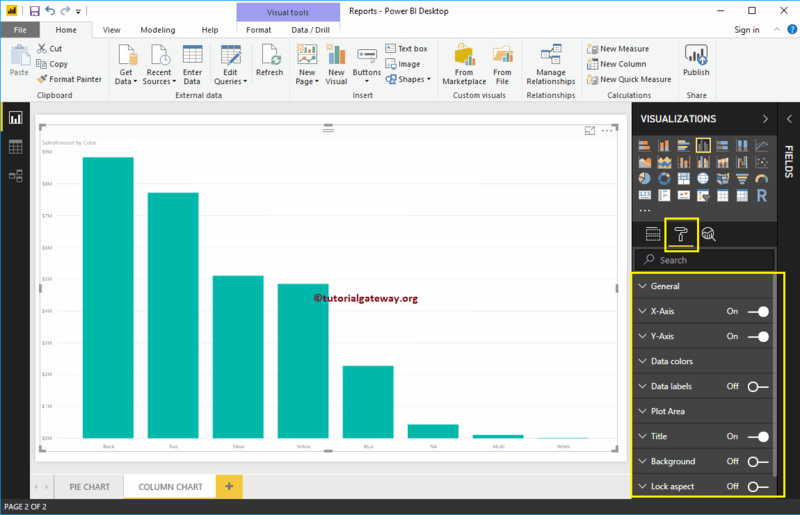 Please refer Column Chart in Power BI article to understand the steps involved in creating column chart. 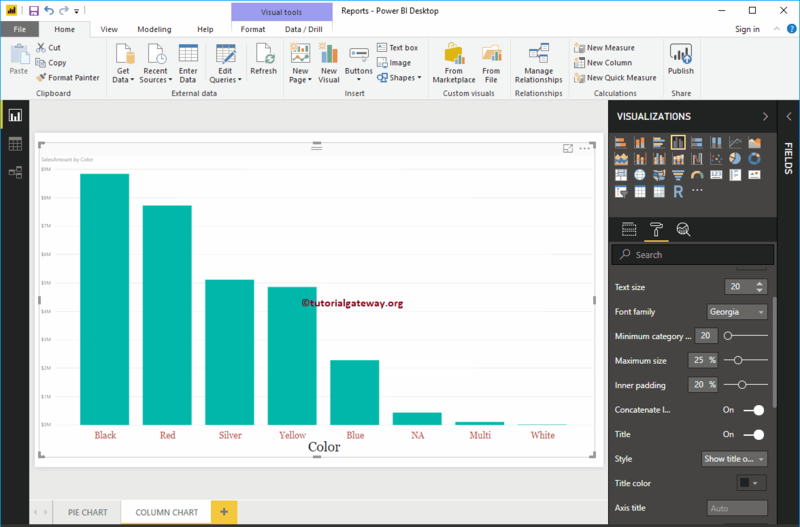 Please click on the Format button to see the list of available formatting options for this Column Chart. From the below screenshot, you can see the changes that we made to X-Axis. 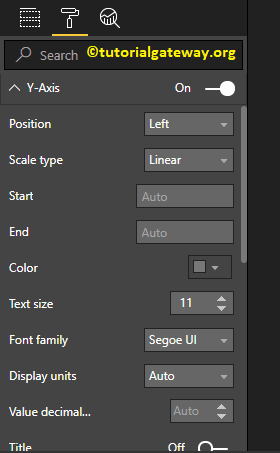 By toggling the Y-Axis option from Off to On you can format the Y-Axis labels. Following are the list of options that are available for you to format the Vertical axis or Y-Axis. 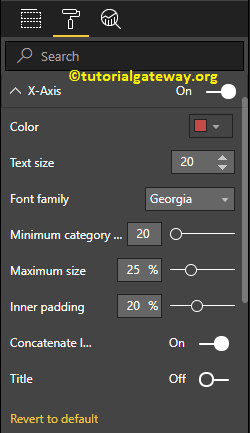 You can see from the below screenshot, we change the Y-Axis labels Color to Brick red, Text Size to 20, Font style to Georgia, and Display Units to Thousands. 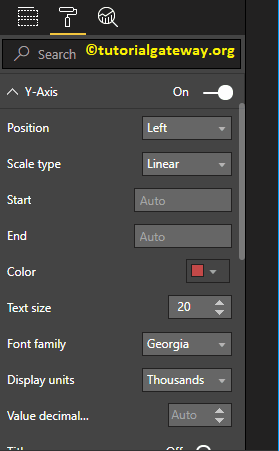 By default, Y-Axis title is set to Off. But you can enable it by toggling Title under the Y-Axis section to On. 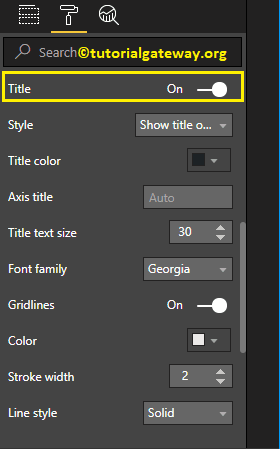 Let me change the Title Color to Dark Grey, Font style to Georgia, and Title Text Size to 30. Line Style: Choose the line style such as Solid, dotted etc. From the below screenshot, you can see all the changes that we made to so far to the Y-Axis. 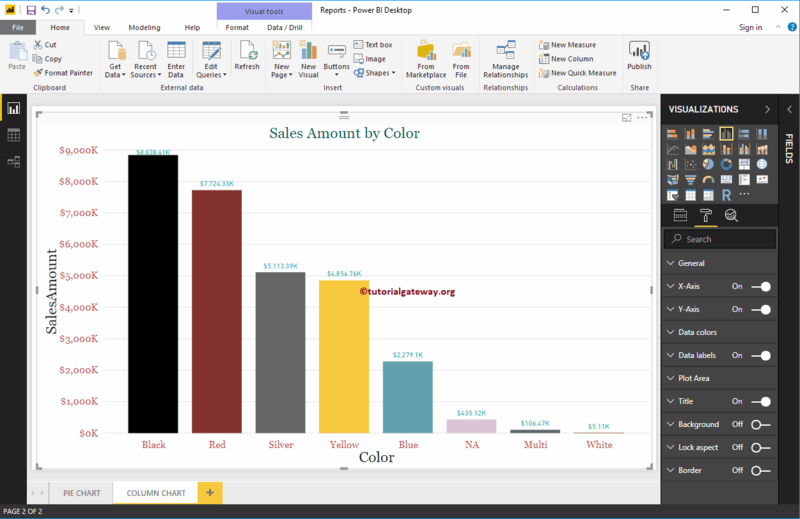 By default, all the Bars in Column chart will display in single default color. This Data Colors section is used to change the Bar Colors. First toggle Show all option from Off to On. This will allow you to pick individual color for each bar. 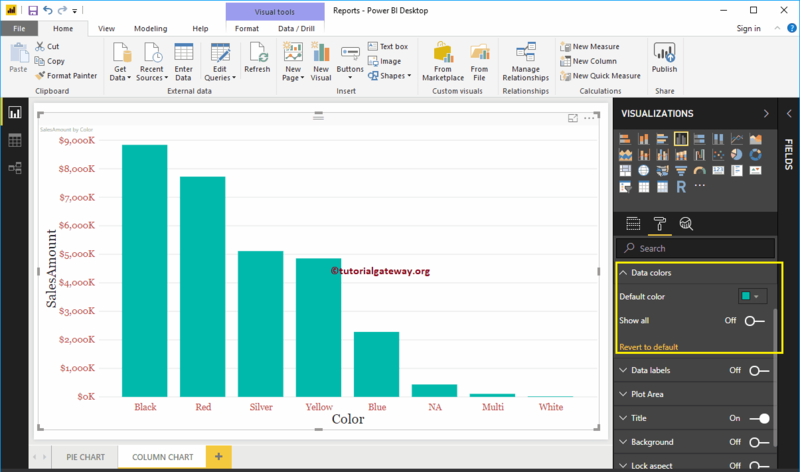 For the demonstration purpose we changed the Colors of all the existing bars. Data Labels will display the information about the bar. In this case, it will display the Sales Amount of each bar. 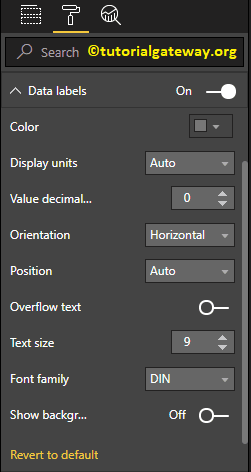 To enable data labels, please toggle Data labels option to On. 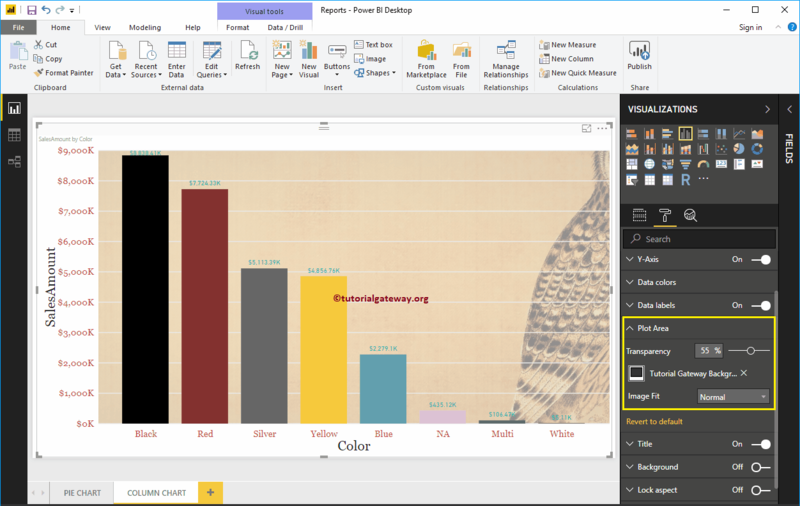 You can add Images as the Background by using Plot Area section. For the demonstration purpose, we added one image as the Plot Area Background. 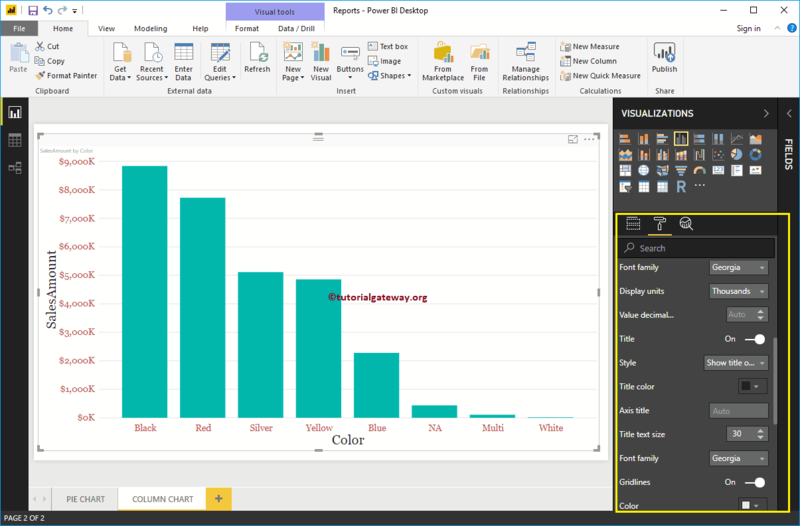 Please select the Title, and change the option from Off to On to display the Column Chart title. 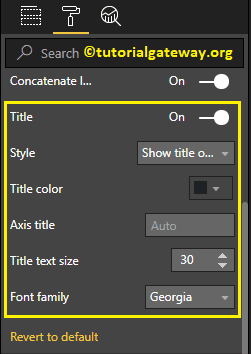 As you can see from the below screenshot, we change the Title Text to Sale Amount by Color, Font Color to Green, Font style to Georgia, Font Size to 23, and Title Alignment to center. If you want, you can add the background Color to the title as well. 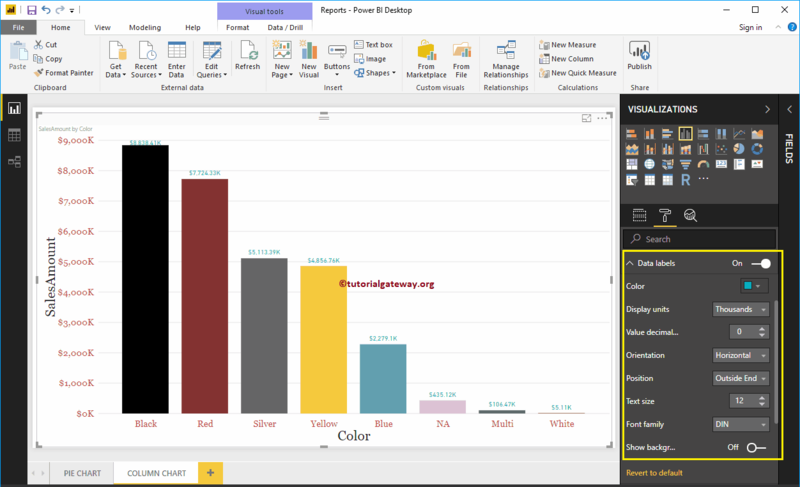 You can add Background color to Column Chart by toggling Background option to On. For the demonstration purpose we are adding background color. Here, you can change the Transparency percentage as well. 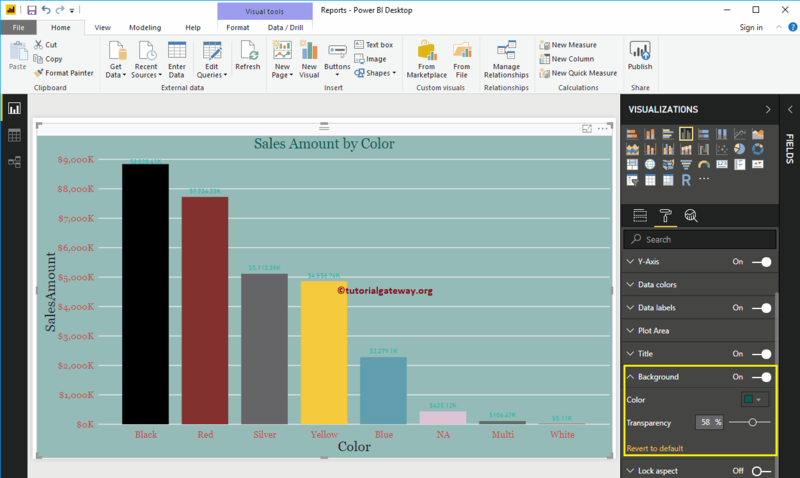 You can add Borders to Column Chart by toggling Border option from Off to On. For the demonstration purpose we enabled Borders and added Dark Grey color as the Border color.